The Fours are the English hills at or above 400m and below 500m in height that have a minimum drop of 30m. Accompanying the main P30 list are three sub lists; these are the 400m Sub-Four, 390m Sub-Four and 390m Double Sub-Four category’s, with their criteria detailed in the respective Change Registers that are linked in their above titles, with the Introduction to this list being published on Mapping Mountains on the 22nd December 2013. The list is co-authored by Myrddyn Phillips and Aled Williams and the posts that have appeared on Mapping Mountains detailing the significant height revisions to the main P30 list and the sub lists appear below presented chronologically in receding order. There has been a Significant Height Revision to a hill that is listed in The Fours initiated by LIDAR analysis conducted by Aled Williams. 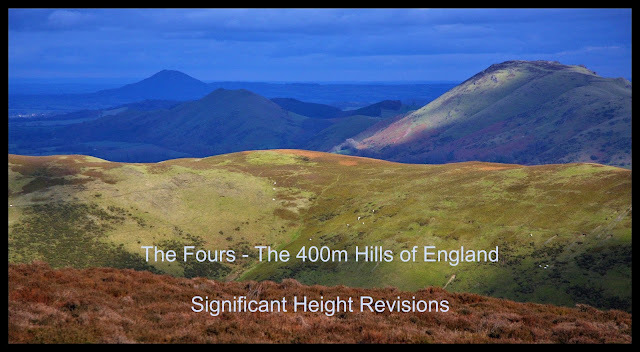 The Fours is the title for the list of 400m hills of England and is co-authored by Myrddyn Phillips and Aled Williams with the 2nd edition of the booklet containing this list published by Mapping Mountains Publications on the 24.04.18. The name of the hill is Black Hill and it is situated in Region 40; Cornwall and Devon, and is positioned overlooking the River Bovey to its north-east and between the A 382 road also to its north-east and the A 38 road to its south south-east, and has the village of Widecombe-in-the-Moor to its west south-west and the town of Bovey Tracey to its east. As the hill is a part of designated open access land its summit can be approached from a number of directions, with the convenience of a minor road to the north giving access to a public footpath and a narrow path leading toward its summit. 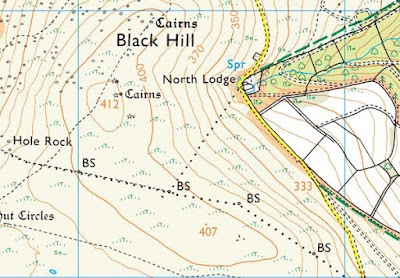 Prior to LIDAR analysis this hill was listed with c 31m of drop based on the 412m summit spot height that appears on the Ordnance Survey 1:25,000 Explorer map and an estimated col height of c 381m based on interpolation of col contouring between 380m – 390m. Therefore, this hill’s new summit height is 414.1m and this was produced by LIDAR analysis, this is 2.1m higher than its previously listed height of 412m which appears as a spot height on the Ordnance Survey 1:25,000 Explorer map. There has been a Significant Height Revision initiated by a survey with the Trimble GeoXH 6000 to a hill that is listed in The Fours, with these details being retrospective as the survey that resulted in this height revision was conducted on 2nd January 2015. The criteria for Four status is all English hills at or above 400m and below 500m in height that have 30m minimum drop. Whilst the criteria for 400m Sub-Four status is all English hills at or above 400m and below 500m in height that have 20m or more and below 30m of drop. 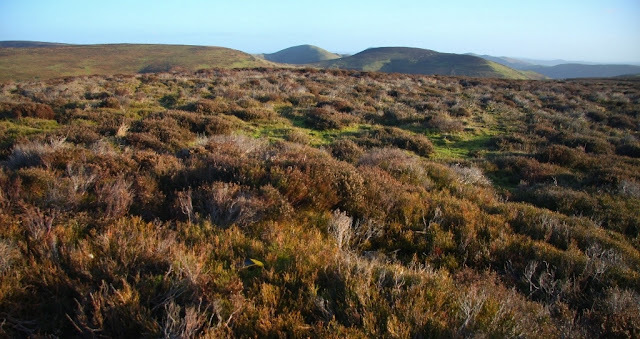 The name of the hill is Minton Hill and it is situated in the hills of the Long Mynd which are adjoined to the Stiperstones group of hills, with the survey being conducted on a clear and sunny winter’s day. Minton Hill can be easily accessed from the north-west on a good tack from the high road that crosses the extended summit ridge of the Long Mynd. Or a more satisfying walk to its summit can start from the south-east from the small community of Minton, from where the hill gets its name from. The hill is listed as a 400m Sub-Four with 22m of drop in the 1st edition of The Fours published by Europeaklist in December 2013. 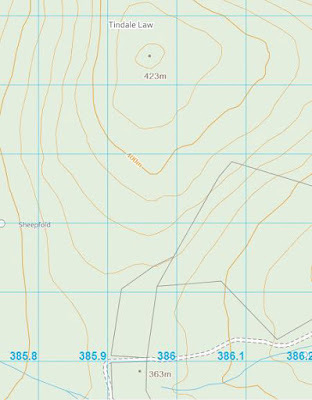 This drop value was based on the 453m summit spot height and 431m col spot height that appear on the Ordnance Survey 1:25,000 Explorer map. The summit spot height is given to an ancient tumulus which is just one of a number of Tumuli that appear on the summits of surrounding hills. 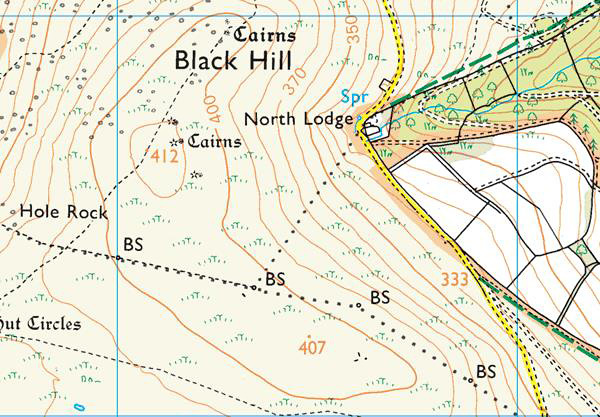 This hill's summit height has been increased from its current Ordnance Survey 1:25,000 Explorer map height, as prior to the survey with the Trimble GeoXH 6000 the hill was listed with a summit height of 453m based on the spot height that appears on this map. However, the result from the survey with the Trimble GeoXH 6000 gave the height of this hill’s summit as 455.4m (converted to OSGM15). 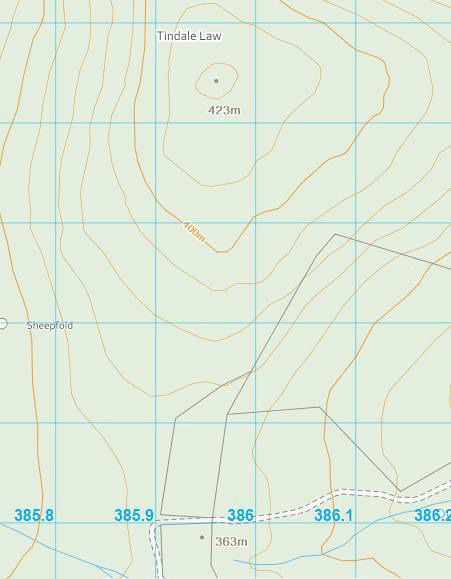 Therefore this hill’s new summit height is 455.4m (converted to OSGM15) which is 2.4m higher than its previously listed height which came from the 453m spot height on the Ordnance Survey 1:25,000 Explorer map.